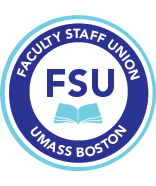 Since our last update, we have met with the Administration three times, twice to discuss Clinical Nursing faculty proposals and once to discuss Librarian proposals. Needless to say, no agreement on either proposal has yet been reached though we remain engaged on both issues. ►Course Cancellations for Spring 2018: We are hearing that there are possibly more course cancellations in departments for the spring of 2018. Let us know what is happening in your department, and how many fewer sections and/or faculty you may have, and the effects of these (higher course caps, more teaching CAPs or Navitas). For previous updates see here.